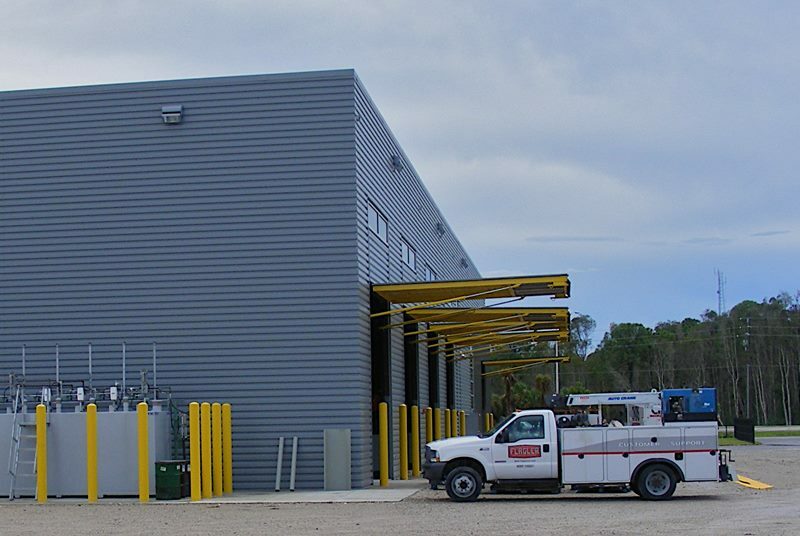 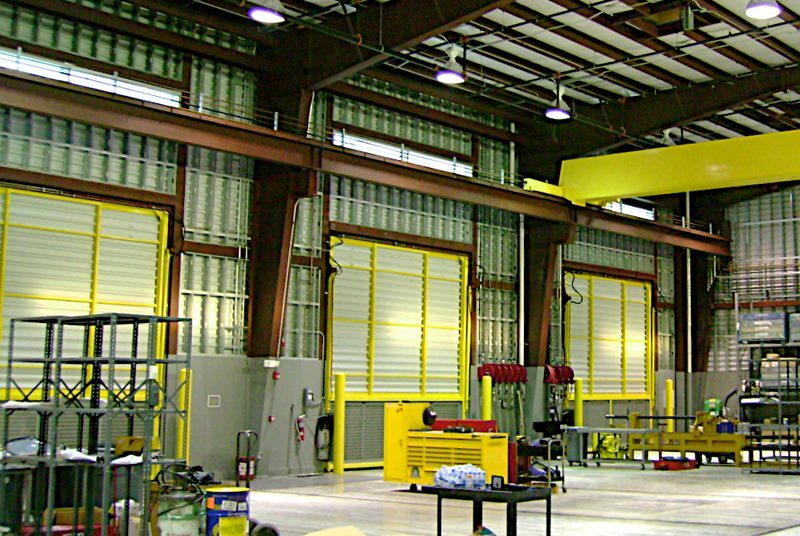 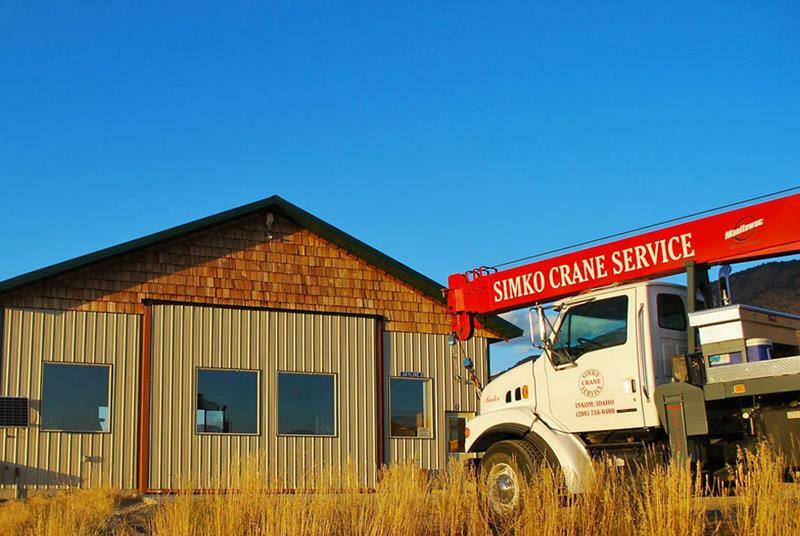 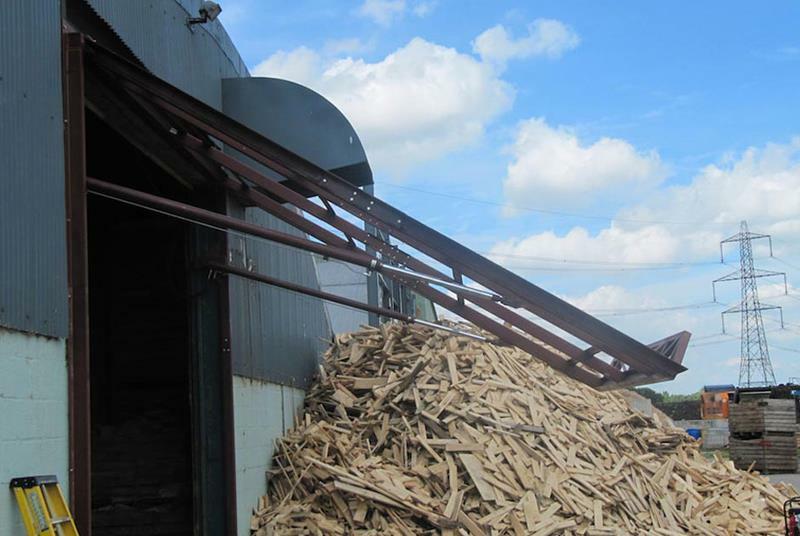 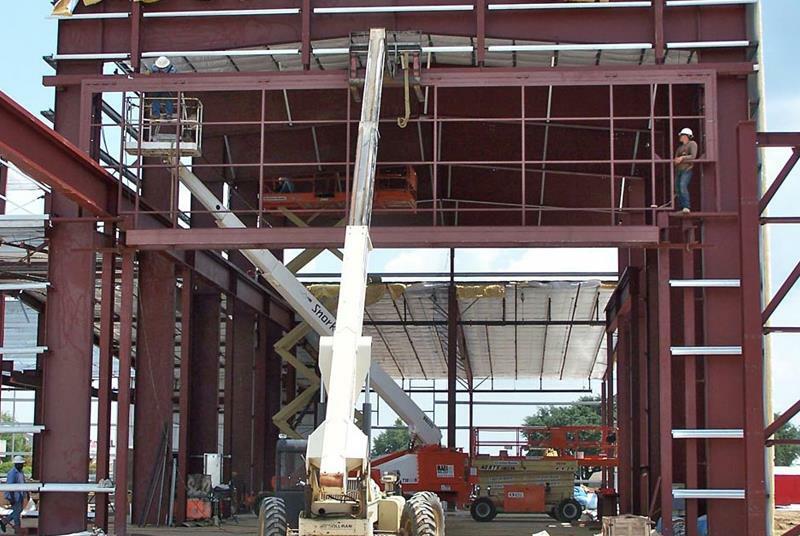 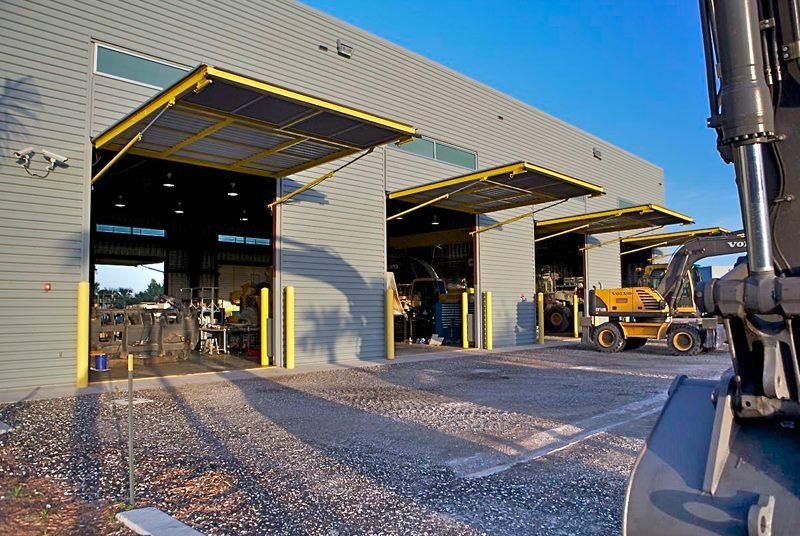 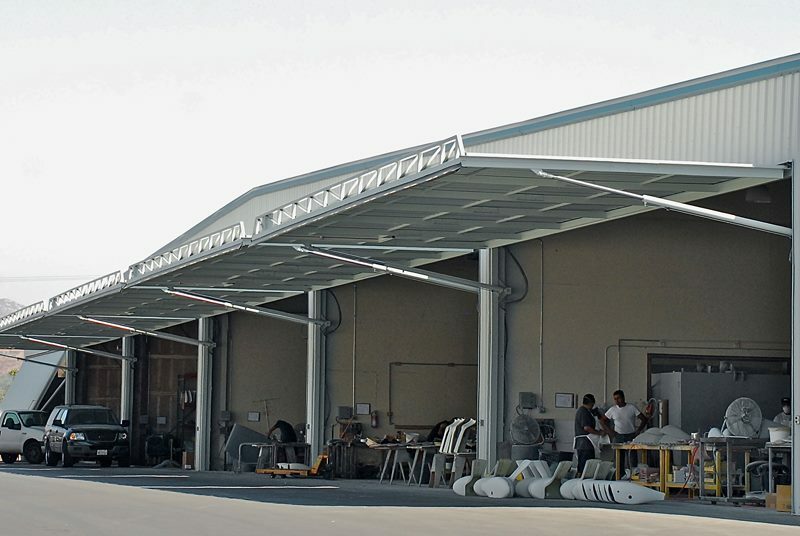 The Hydroswing® industrial overhead door has evolved into many special applications. 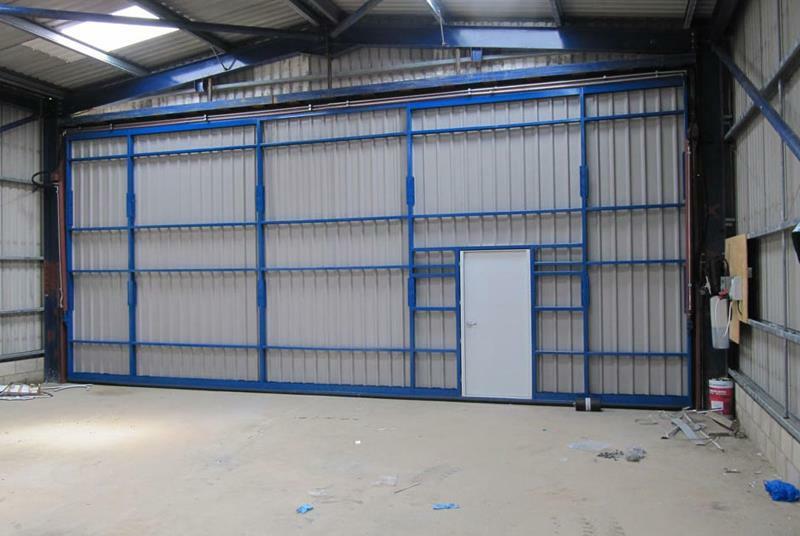 Factories, rendering plants and machine shops have all adopted the strength and reliability the hydraulic door offers. 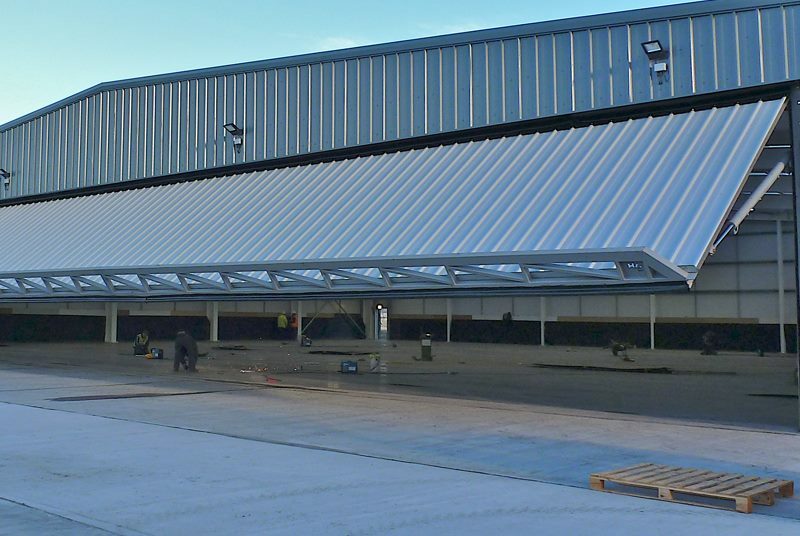 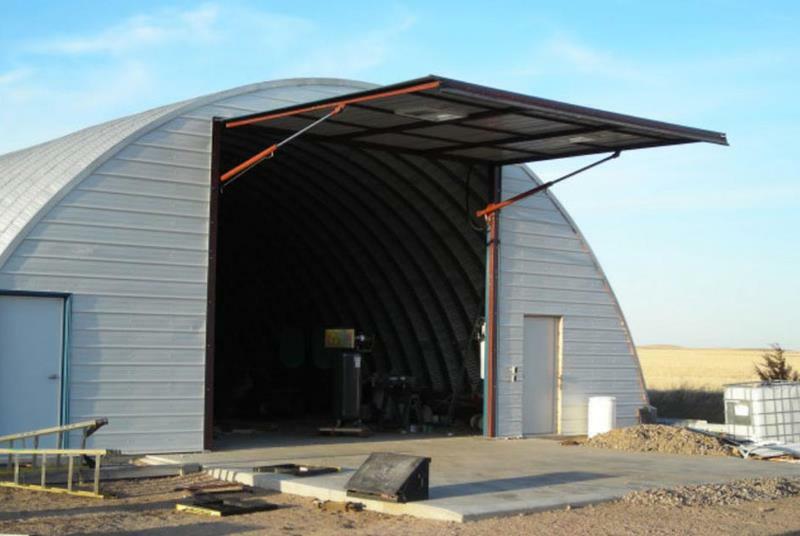 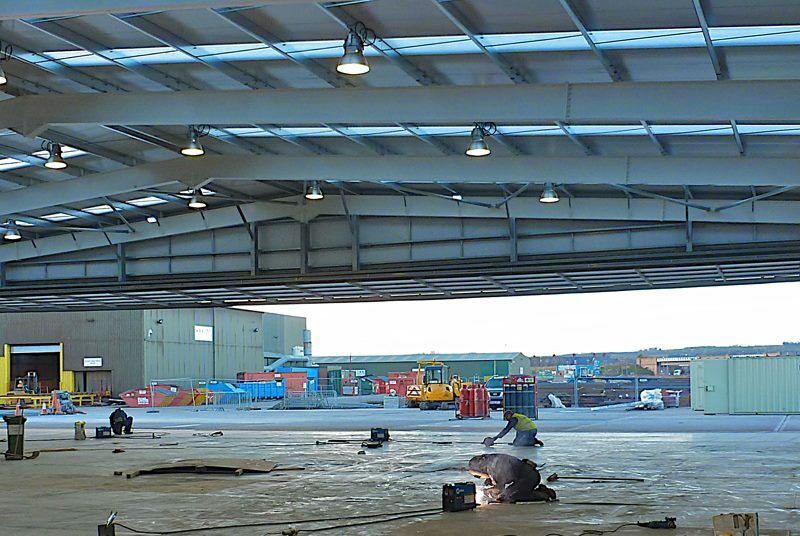 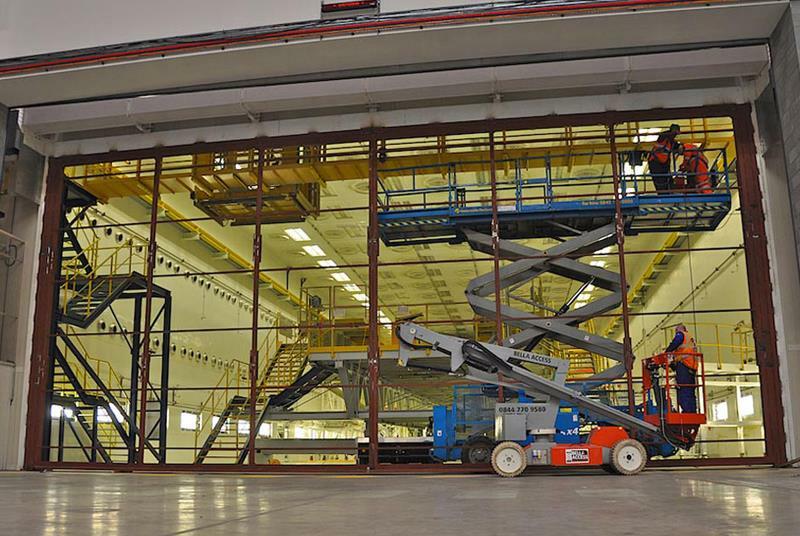 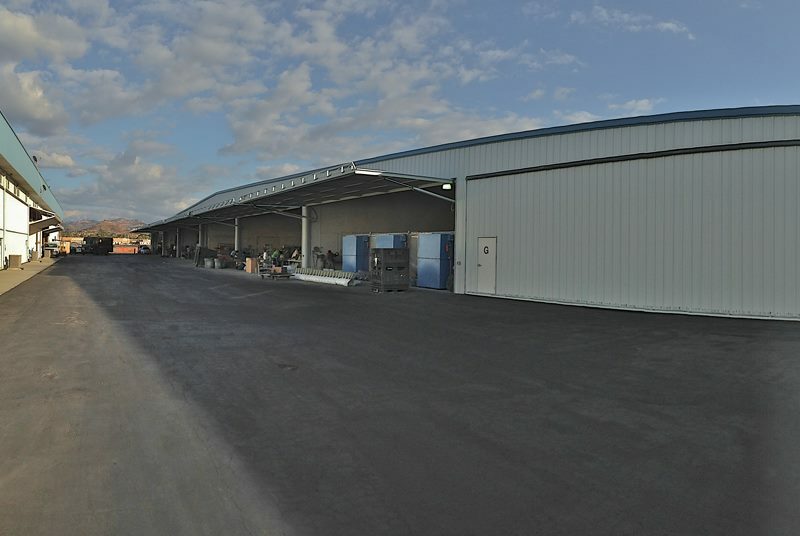 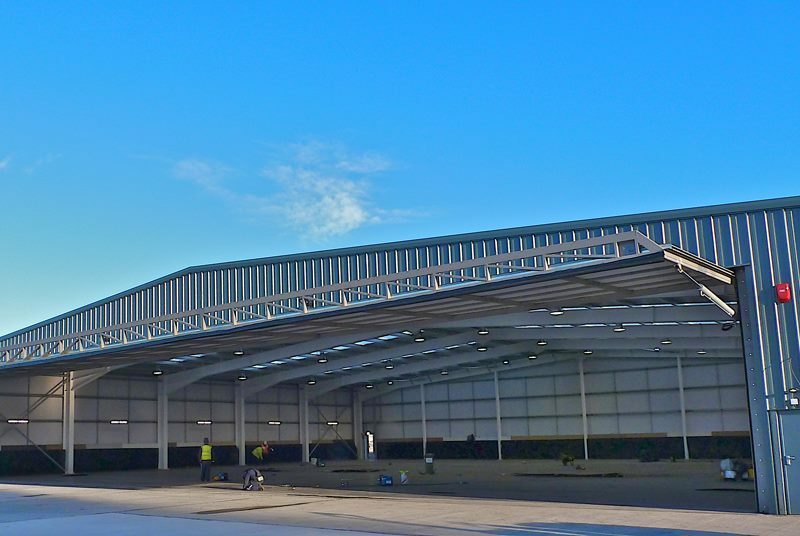 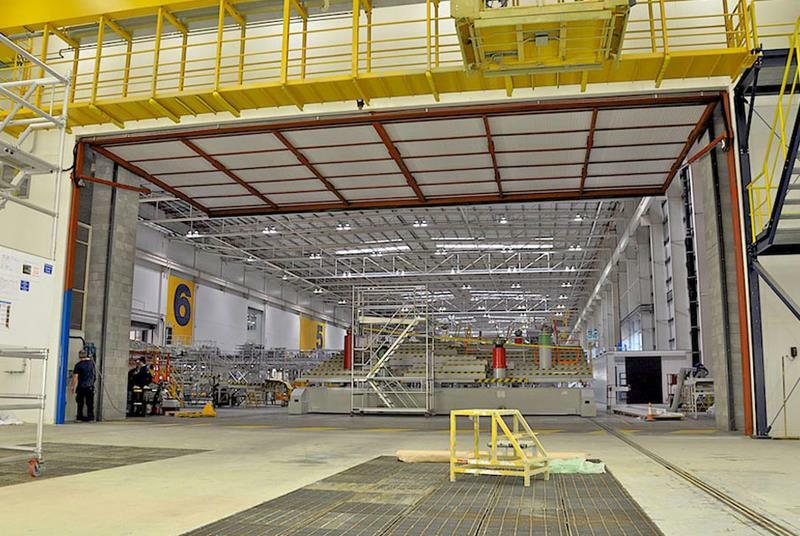 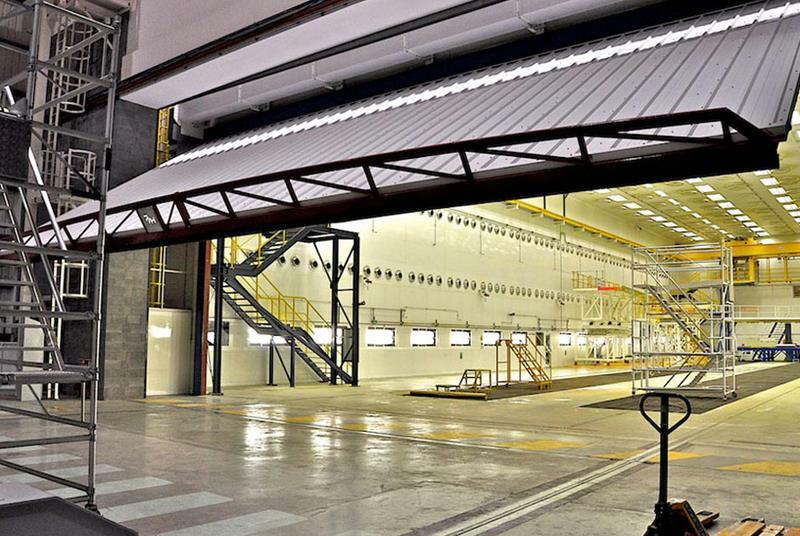 The Hydraulic Overhead Door is not only the standard door for aircraft hangars and agriculture sheds, it's becoming the standard alternate solution for many applications that demand security and ease of use. 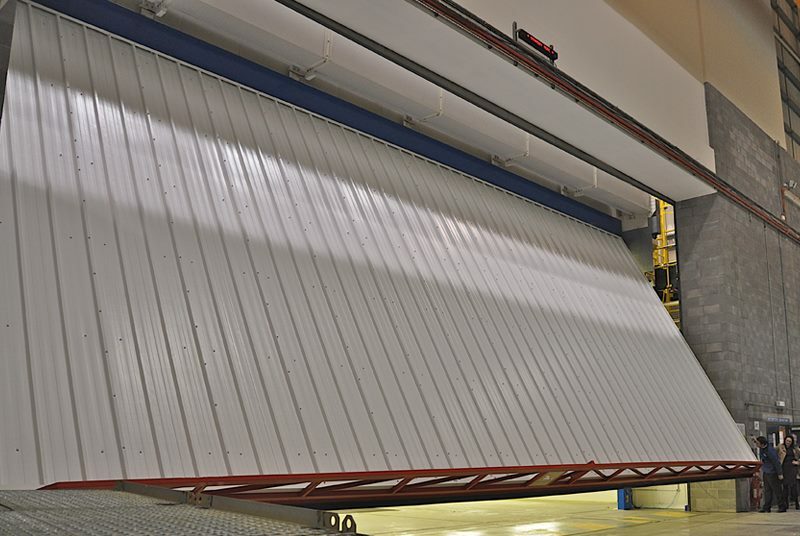 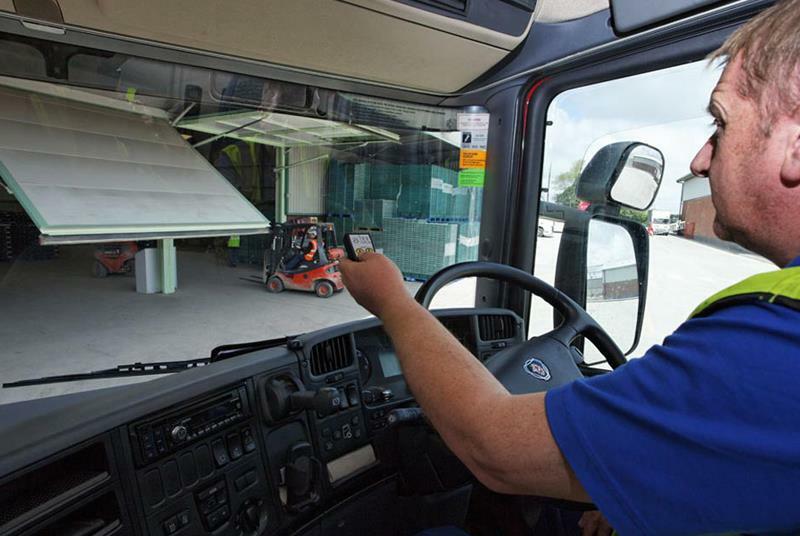 Whether you're doing a brand new building or replacing an outdated bi-fold door or roller door, the Hydroswing Single Panel Industrial Door can help increase opening height while reducing building height. 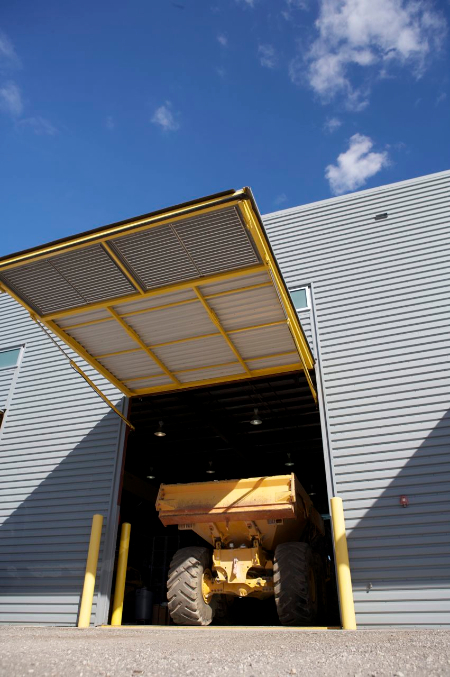 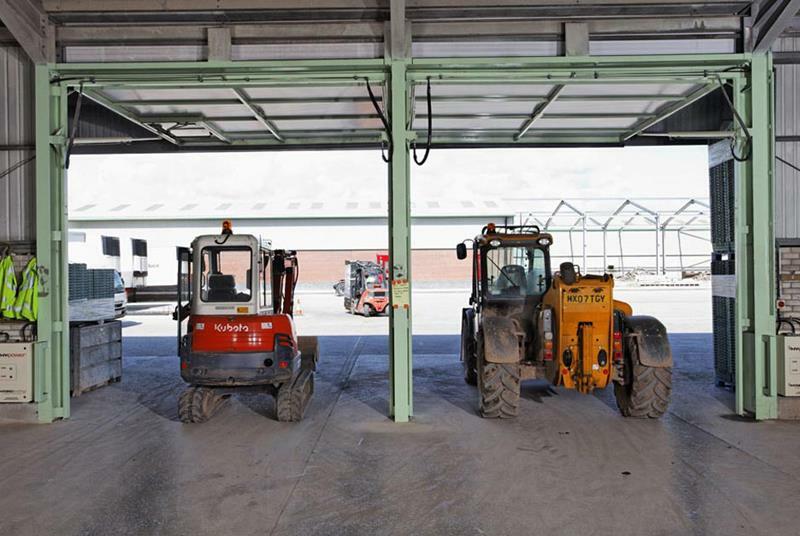 As the need for simplicity and strength for industrial buildings and industrial processes grows, the hydraulic doors from Hydroswing® are a natural player in this sector Our doors reduce in life costs thereby reducing your annual CAPEX on maintenance and increase operational efficiency. 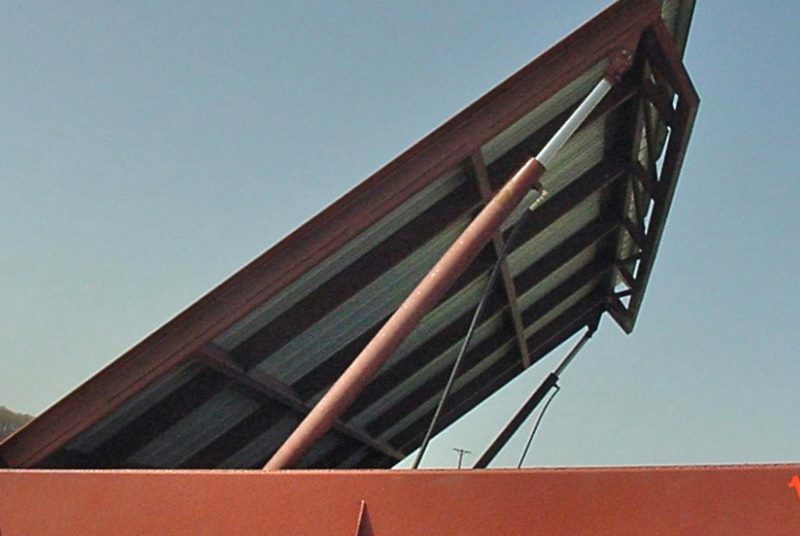 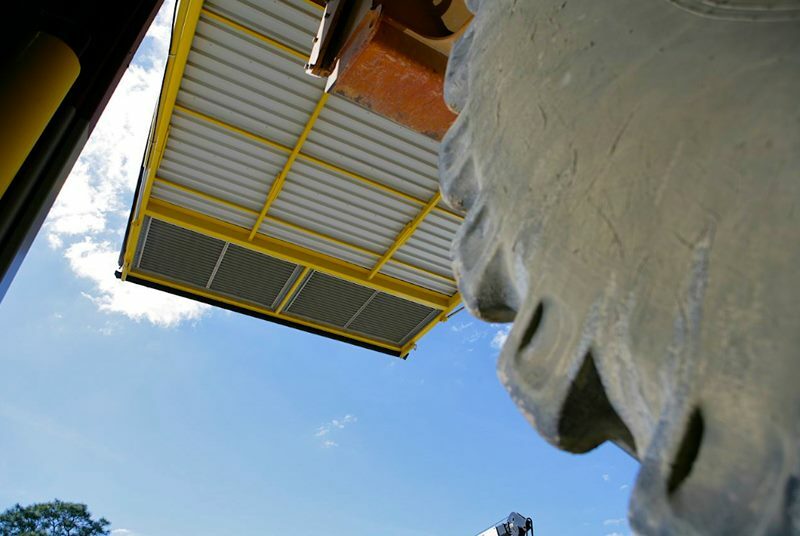 The hydraulic single panel door is simple, viable, strong and durable in the mining, construction, manufacturing and storage environment, see the new sector pages covering the Hydroswing® in Bio Mass, renewables and recycling industries. 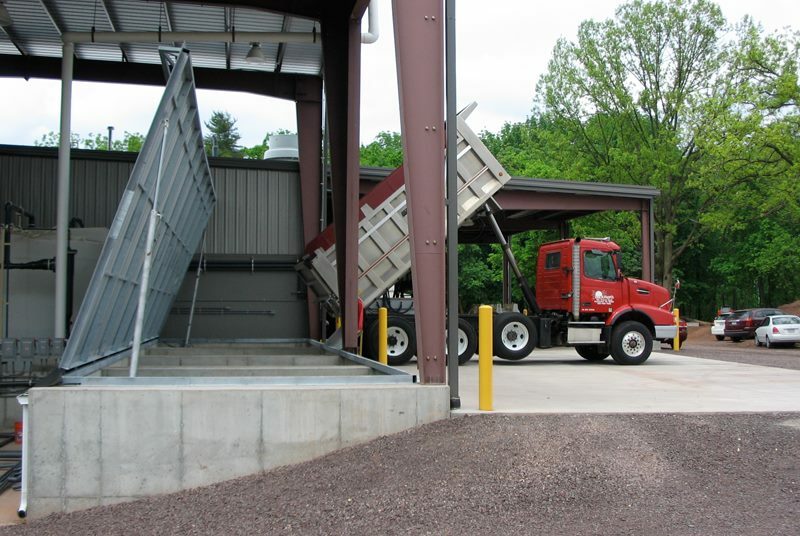 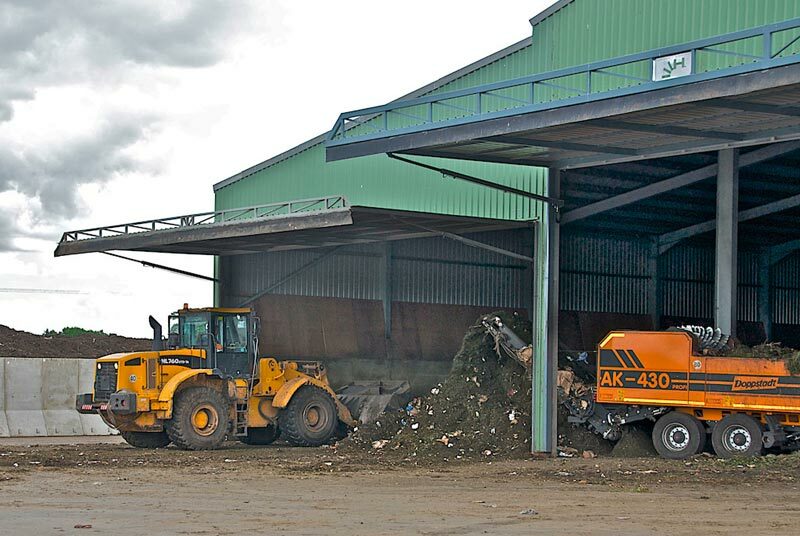 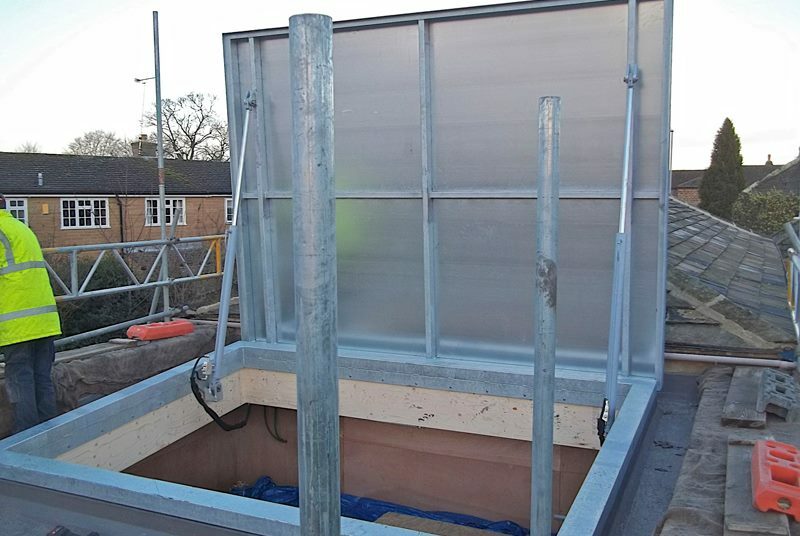 Note the single panel door used as a tank and vat cover as well as hydraulic hatch for the recycling and chemicals industries, This allows for secure hydraulically operated covers for in ground tanks and allows use of the upper side of the door where space is a premium for your operation.